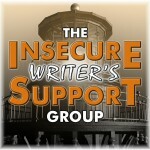 It’s the first Wednesday of the month, so it’s time again for the Insecure Writer’s Support Group. Like the title of the post says, I’ve been too distracted to be insecure lately. I got to spend last week delving into my creative artistic side to help a friend redo her branding. It was a fun project, and she’s happy, so I’m happy. I was also quite honored that she approached me. I like to play with graphics, but everything I know is self-taught. I’m okay with making stuff for myself, because it’s just me and my name that I’d drag down if it wasn’t perfect. But doing something for someone else? What if it wasn’t good enough? What if I failed to capture that essence of what that person wanted? Thankfully, Sarah knew what spoke to her and provided examples to go off of. She could specify she wanted slightly darker gray in the background, and what font best represented her style. She guided me to slightly deeper reds, to the subtle placement of text, to color schemes. We got her to where she wanted to be. I know I have no desire to do this work professionally, but I’m pleased with how this side project turned out. Now I’m back to combing through my early chapters to remove references to names who aren’t important to book 2. Progress is coming along. And according to a couple of online critique partners who I picked because they haven’t read the first book, the changes have helped me in the clarity department. Woot! 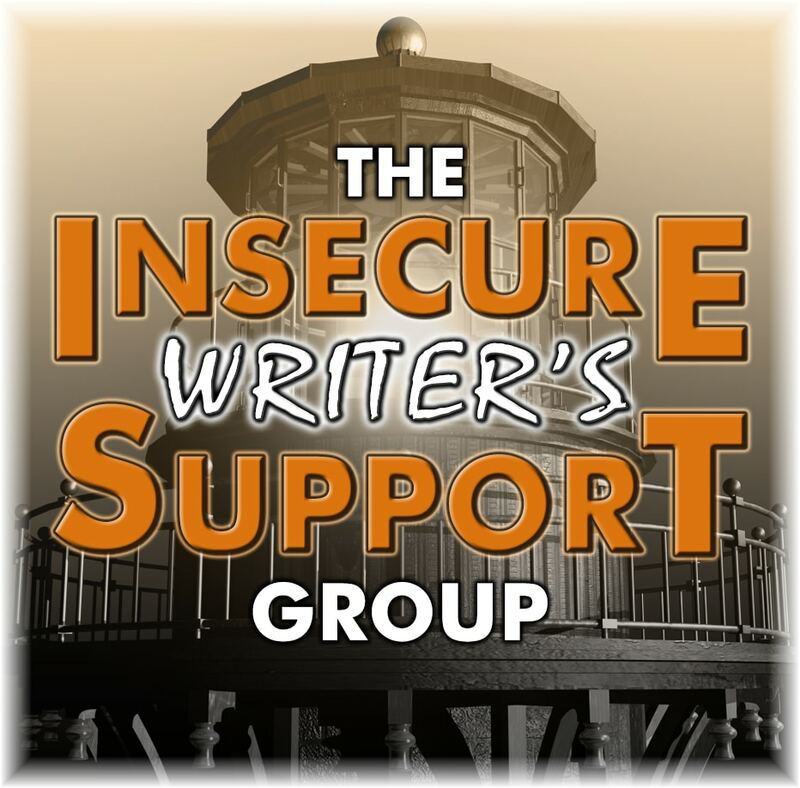 IWSG Question of the Month – Have you ever surprised yourself with your writing? For example, by trying a new genre you didn’t think you’d be comfortable in? Uh, no? Everything I’ve written has had some element of fantasy or supernatural. And I’ve never felt uncomfortable in another genre, I just possess no desire to spend time there if I’ve got other stuff I’m working on. Occasionally, I’ve written something I really like, and when I come back to it, I think, “hey, this is pretty good.” But I don’t find many other surprises in my writing. Do you ever create for someone else? Do you enjoy art? Have you surprised yourself with your writing? At least your distraction is in helping someone else so I’d say that is a good thing. I allow myself to be distracted by all sorts of dumb stuff as well as some decent worthwhile distractions. I do enjoy art though I myself am not very artistically creative. Ironically, three of my kids are very artistic. Congrats on helping a friend. That is always uplifting especially when they are happy about it. Congrats on your book progress that is always a biggie, at least for me. I’ve help friends with their websites, made some meme’s type of thing. Love art not that great but I sketch. I have some that have shocked me with how well they turned out. “Um, no” was my first response to the surprise prompt as well. I wonder if it’s just that not much surprises me anymore. I could finally be turning into Eeyore. I love creative distractions, so congrats on having that opportunity! Hey, that’s a cool side project and distraction. I’m usually distracted by playing dumb, time-wasting games on my phone. You helped someone, and maybe you learned something you can use in your own future design projects. That seems like a pretty positive use of time! And hey, as long as you make some progress with your manuscript, that’s also a win. Sounds like you had a good month! I’ve never created anything for anyone else, which is good because I can’t even draw stick figures. I love art, though, and bow down to those who have the talent for it. Glad you’re making progress on your story! That’s cool you did a graphic for your friend. It is different when it’s someone else. Then we really want it to be perfect. Glad I could distract you. I think. 😉 Good to know it was fun, at least. I need a rebrand. Or a make-over. Ooh, or a total house rehab. I’ve been watching far too much women’s tv. I think it’s awesome that you are using all your creative skills. I think one fires up the other. I’m self-taught as it relates to graphics as well. It was something I really felt I needed a grasp on for my marketing work. Good for you! Glad the side project turned out well. I love playing with images too. Lately, I have been making book covers for writers on wattpad, and it is very rewarding when someone likes my covers and uses them for their stories. It is a fun theme-based blog hop; we write every second month of the year, and I invite everyone to join us. Cool beans that you helped your friend with graphic design. The arts interest me. Good luck with book 2. That’s a good idea getting feedback from readers/crit partners who hadn’t read the first book. 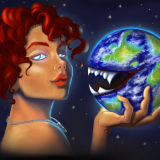 What’s your favorite thing about writing fantasy or supernatural? yay for getting creative! i like playing with graphics too. and getting a new perspective on the writing is a terrific thing – i try to get fresh beta eyes on each project in addition to my regulars. very helpful! Graphic work is not for the faint of heart. My husband would also say for the sane. My writing has been all over the map. Hi Loni. Designing for others is so tough! Most of my job is graphic design for others and I both love and hate it. It’s so personal and I try to have a thick skin but wow. Some days it’s tough. I DO love art very much. I lover how your friend helped guide you to her taste. I wish you much luck! Have a great rest of your week. That was awesome of you to help out your friend. I designed a book cover for my writer pal’s work in progress. Nothing fancy – my skills are pretty rudimentary, also being self-taught. But she loved the visual for inspiration. Look at you being artistic and helping friends 🙂 What an awesome way to spend some time! I’ve been interested in graphic design, but it seems overwhelming to me….at least you’re having fun dabbling in it. Glad your changes are clearing some things up. Progress is awesome! I’m not surprised at all that your friend was so pleased with the work you did for her. Your graphics are always so awesome! It’s obvious you have a real talent for that kind of work. Writing and drinking wine are the only things I am creative at. The best I’ve done for someone else is beta reading and critiquing. Its great that you have a gift to assist others with. Happy creative time and writing! I love that you were able to help a friend. Yeah, I surprised myself by liking Paranormal and mysteries and thrillers as well as contemporary! That is very cool that things worked out for you and your friend’s branding. ^_^ I can understand being nervous about doing work for someone else that you’d only done for yourself, but it sounds like it turned out well. That’s great you helped your friend out with her branding. I don’t think I could ever create for someone else. I’d be too worried that what I did wasn’t good enough or embarrassed to share it with them. It’s helpful when the person knows what direction they want to go in. I’m sure you did an awesome job! And it’s always nice–and usually a relief–to read back through something you wrote and find out that you still like it. It’s always a good feeling to help others. I just re-branded myself, if that makes sense?? My oldest son is a tech wiz and helped me redo my website and blog and I feel like I’m getting somewhere now:) Enjoy the rest of the month and don’t stay too busy! Congratulations on doing an outstanding job helping someone else re brand their product. I tried to comment last month in September but for some reason, I kept getting a blank page. My computer was not being very friendly to me. I’m glad I have you back on my radar. Great that you were able to help your friend and that you were both happy with it. I love writing fantasy too though some of me is in my characters.